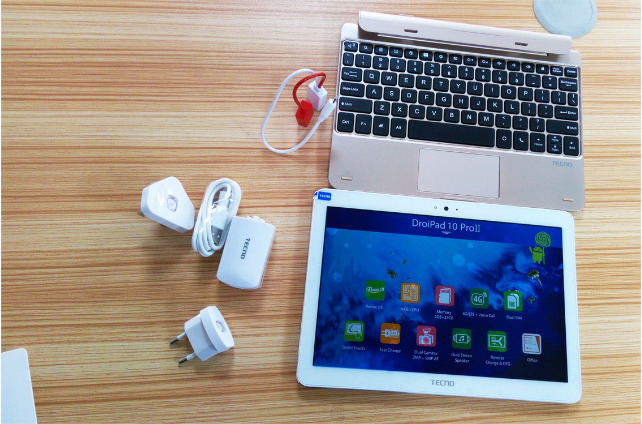 The Tecno DroiPad10 ProⅡ is a 2-in-1 Android Tablet for work and play. 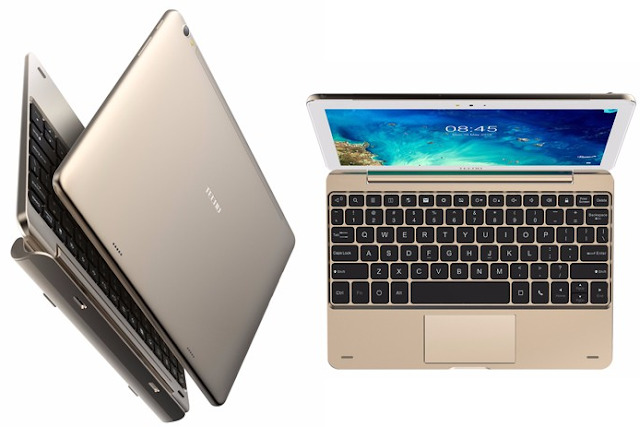 The tablet is built with a powerful computing ability of a PC and running on an Android ecosystem to give users an All-in-One PC and mobile experience. Pack with premium quality and can be used for both work and for fun. The DroiPad10 ProⅡ is an all metallic unibody design with clean lines and soft edges that makes its standout, the tablet performance is enhanced by the latest Cortex A53 64-bit Quad core processor clocked at 1.3GHz CPU and Mali-T720 MP2 Dual-Core GPU to deliver an impressive speed and responsiveness when multitasking or playing your favorite game. The DroiPad10 ProⅡ supports 4G LTE network that allows you to connect to an ultra fast network to stuff, share, stream, download at a very high speed. 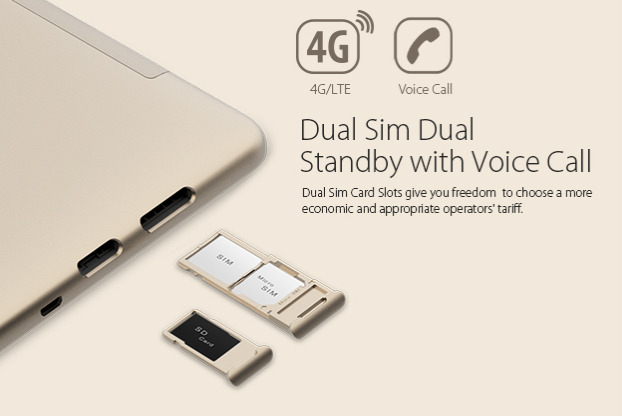 It also support dual SIM card that gives you the freedom to choose the best network that is appropriate for you. With the tablet packed with lots of power, its time to say goodbye to you fast draining tablet and heavy power banks. The DroiPad10 ProⅡ is packed with a battery capacity of 7000mAh that will deliver a longer lasting fun and more productivity in just a single charge, It is equipped with a unique reverse Charger+ that supports fast charging, USB, Mouse and OTG functionalities. Also without earphones, you can stay turned with simplicity. It has an inbuilt antenna that enables you to listen to FM radio without asking for wired earphone. Also, the sound quality can not be overlooked. It delivers a theater like sound with high resonance that is powered with a dual stereo soundbox. The DroiPad10 ProⅡ runs on Android 5.1 Lollipop, based on Remix 2.0 OS(Tecno's version of OS) that enables you to manage your files by simply dragging and dropping multiple files at the same time. The Table is a balance combination of Laptop and Phone. Equipped with a 32GB of internal storage and can still be expandable using MicroSD card means that you can store as many movies, musics, phones and documents as you want. And the 2GB of Ram size enables faster response in multitasking. Also equipped with a dual camera of 2MP front with LED flash and 5MP main camera with flash.